Direct from Japan! These were an exclusive from the pop up Premium Shops that appeared in Tokyo, Osaka and Sendai for a limited time. 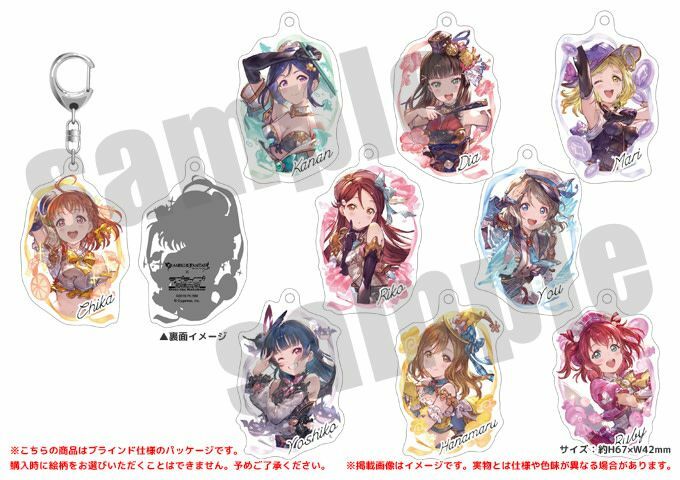 Based on the collaboration event from 2018 featuring the Aqours girls in their battle outfits in the popular mobile game by CyGames Granblue Fantasy. 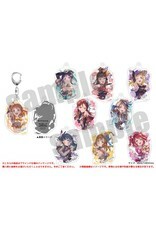 Pick up your favorite for your collection or itabag! Note: Limited inventory available and restock timing can be unpredictable so be sure not to miss out if your fav is available!